This post contains affiliate links and I will be compensated if you make a purchase after clicking on my links. This is at no extra cost to you. I received my copy of After Atlas through a Tor.com giveaway. Inspiration can come from immersing ourselves in many different forms of creativity and art, not just that of photography. So I read a lot of fiction and non-fiction, I watch movies and documentaries, I read graphic novels and comic books, and I view paintings, sculptures and other physical works of art as often as I can. I try to periodically share some of these other art forms, to encourage all of you to keep looking for creativity and inspiration in many different forms. Recently, I finished a great science fiction novel by Emma Newman called After Atlas. This is the second novel set in this universe, the first being Planetfall. 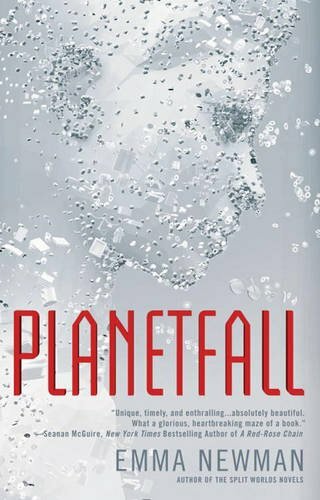 I have not yet read Planetfall, but most definitely will at some point. 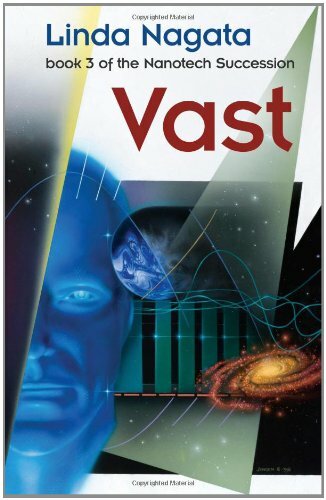 Thankfully, After Atlas is written such that it can be understood and enjoyed without having read Planetfall. They are very much connected, but separate enough to stand on their own. How do you think your life would have turned out if your mother had abandoned you when you were young to join a group who left the planet on a ship named Atlas, abandoning everything they knew for some unknown destination in space? What if your father then fell apart and stopped really acting as a father, joining a religious cult headed by the charismatic Alejandro Casales, who becomes a father-figure of sorts to you. How would this shape your life? What choices would you make, whether consciously or not, because of these traumatic childhood events? Would you run away from the cult hoping to find your own life? Or would you stay? Carlos Moreno ran away from the cult and from his father. Life didn’t end up as he might have liked, but in the end he found himself working as a gov-corp detective for the Ministry of Justice. This was a position many people might envy, a position of power and influence, that brings out fear or admiration from people he meets. But of course his situation isn’t really that rosy, and he doesn’t have the freedoms many think, instead being an indentured servant to the MoJ. They help make him into the perfect detective, an asset they can call on anytime they need. Eventually, his past resurfaces, and the MoJ needs him to investigate the death of a very influential person, none other than Alejandro Casales, leader of the Circle, and former father-figure to Carlos. There are many groups who want to know what happened, how he died and under what circumstances. And there isn’t much time to solve the crime. A capsule from Atlas will soon be opened and its contents revealed to the public. There are hints that link this to Alejandro’s death. Carlos has plenty of technology at his disposal to help in the investigation, including Tia, his neurally implanted Artificial Personal Assistant. One of the other interesting technologies is related to photography, and one we are seeing glimpses of today: the ability to photograph and capture every detail in a room, from every angle, and merge all that data into a 3D virtual recreation of the room that investigators can enter using their APAs. This allows the investigators to effectively return to the scene at the time it was recorded, as many times as they need, looking for new clues, without worrying about something having been moved or disturbed. 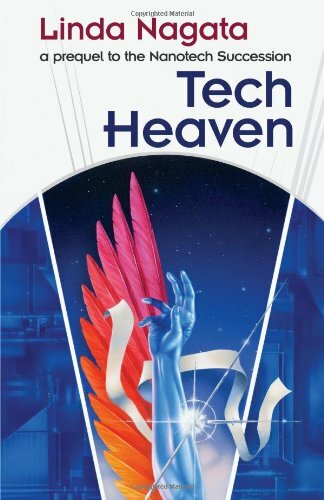 But for all the interesting tech, this really is not a book about technology. It has those elements of cyberpunk, but doesn’t focus on them. At heart, this is a mystery/thriller about a detective trying to solve a murder, and not just any murder, but that of someone he knew quite well. This is a very character driven book. Throughout the novel we get to see more of Carlos’ history, how he got to where he is, what drives him and what made him. And we see how this affects not just his investigations, but how he lives his life, how he interacts with friends or new people he meets during the investigation, how he interacts with his MoJ superiors. I felt the book started a little slowly, but picked up pace quickly, and it wasn’t long at all before I was hooked. As I approached the end of the book I kept thinking there aren’t that many pages left and this doesn’t feel at all like it's winding down. Because of this the ending did seem rather quick, but it also felt appropriate, and impactful. It wrapped up most of the story, but did leave room for a continuation. I suspect there will be a third novel in this series. 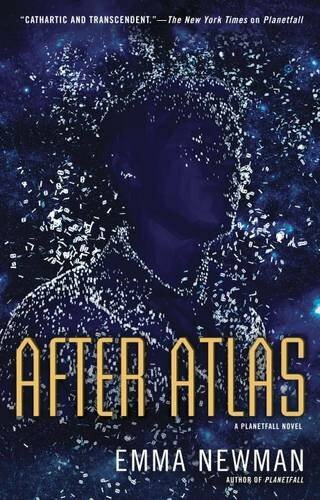 If you’re interested in science fiction with hints of cyberpunk, or murder mysteries and police procedurals, then give After Atlas a try. You might enjoy it. I certainly did. And if you do try it, let me know what you think of it. I first learned about After Atlas from a review over at Books Bones & Buffy, a great site for reviews of speculative fiction (science fiction, fantasy, horror, etc). 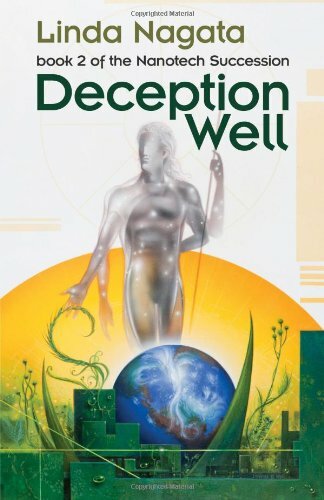 Later that day, I found a giveaway for the book at Tor.com, another great site for reviews and news about science fiction and fantasy, and was lucky enough to win a copy. Check out both sites. I do just about every day. This post contains affiliate links and I will be compensated if you make a purchase after clicking on my links. This is at no extra cost to you. I received my copy of The Red from the author through a giveaway at SF Signal (a site that is, sadly, no longer around). Creativity exists in many different forms. I think all creatives benefit from experiencing as many forms of creativity as possible. 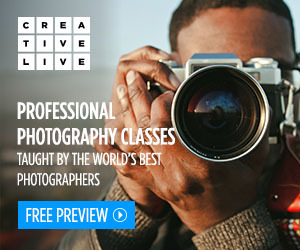 With creative photography the photographer may craft a story or evoke an emotion with an image. It is up to the viewer to put words to the story or to experience the emotion. The viewer is a part of the creative process. Different viewers may create completely different stories from an image. Literature is similar. Authors craft the words of the story and it is up to the reader to conjure the images, emotions, sounds. Each form of creativity is similar in that there are at least two creatives at work, the one creating the original piece of art and the one experiencing the art using their own imagination. This website is primarily about my photography. I see scenes that affect me in various ways and I attempt to create images that will allow viewers to share my experiences. I hope the viewers will experience some emotion when viewing my photos, even if it differs from my own when creating the image. If I’ve done my job correctly viewers may find stories in a few of my images. 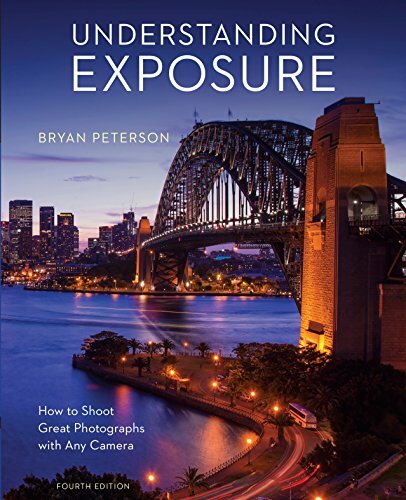 I think any photographer can improve their abilities by experiencing as many forms of creative expression as possible, to learn how other creatives express themselves, to learn other ways of expressing an emotion or telling a story. Reading great books is one way of doing this. First is the simple joy of experiencing a new world created by the author and brought to life by a synthesis of the authors words and your own imagination in how you visualize and experience the world they’ve created. Another purpose of reading is to learn about the creative process. Granted you can’t know how the author goes about their creative process, but you see the end result and that can be informative. It can show you an example of what is possible and give you something to strive for. It can provide inspiration for your own work. So all of this is a long-winded way of saying I really enjoy reading good books. And I enjoy books of all sorts in many different genres. If I read too many books of one type I find myself craving something completely different. I’ve recently read several fantasy and more contemporary novels, so I’ve been craving a good science fiction novel. I found that in the form of Linda Nagata’s The Red: First Light. It is the first book of a trilogy, and having finished it I’m looking forward to seeing how the story progresses through the next two. 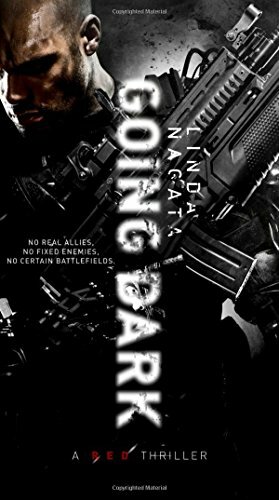 Trying not to give too much away, the story is told using first person point of view from the perspective of Lieutenant Shelley, commander of a Linked Combat Squad (LCS). It takes place in a perhaps not too distant future displaying a combination of technologies just coming into their own now, and those not yet developed. LCS gives you an idea of the sorts of technologies present, ones that allow a more cohesive team, improving communications and status updates. The first person perspective is perfect for conveying Shelley’s point of view. We see what he sees and more directly experience the technology he uses and the situations he’s put through. This perspective is even more appropriate for reasons you’ll quickly learn when you read the book, as we’re not the only ones seeing what he sees. 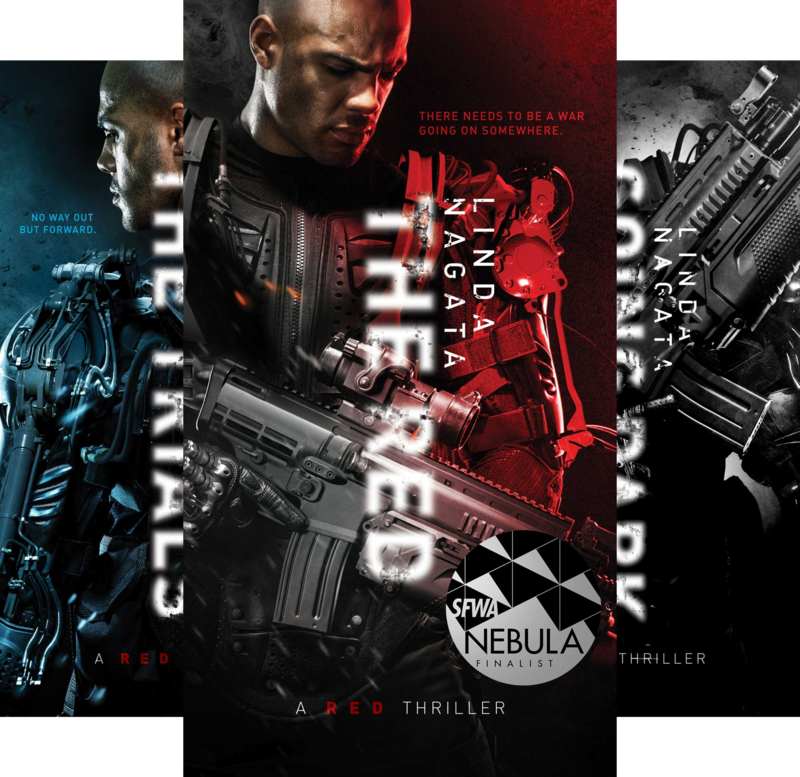 The title of the novel is The Red, and early on we’re presented with imagery that keeps the title in mind. The LCS uses equipment they wear to tap into the infrared feed of the angel, a semiautonomous drone used by the LCS to get a better view of the terrain. The houses in the African villages they pass through are made of red mud bricks. During an engagement an enemy is hit multiple times and “drops in a spray of brilliant red blood.” A local from one of the villages wears rust-red-and-gray camo pants. A piece of diagnostic technology “blazes with red light.” When Shelley drops to the ground to avoid being seen by the enemy he notices the slick red dirt, wet from recent rain. The use of red imagery is beautifully done. Red occurs often in the beginning, but not so often it distracts. It’s just often enough to remind us red will play an important role in the story. It reminded me of the use of green in the movie, The Matrix. If you aren’t paying attention you might never notice until someone mentions it to you. If not for the book’s title I may not have noticed. The use of red built tension. I wanted to know what The Red was and how it related to the story. We do eventually learn this, but I’ll leave that for you discover when you read the book. It’s worth the read. This was only a short taste of The Red. I don’t want to reveal too much and risk taking away from the enjoyment of experiencing the events as they unfold, of learning what the Red is and how it will affect Shelley and the other characters in the story. As short as this description was I hope it was enough to entice you to pick up a copy and give it a try. 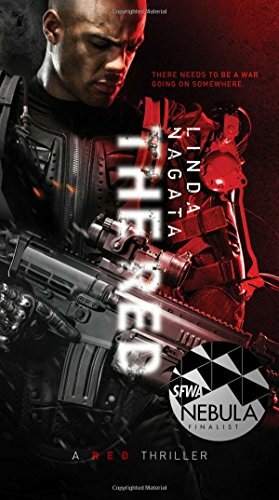 I was lucky enough to win my signed copy of The Red (thanks, Linda!) through a giveaway at SF Signal (as mentioned above, unfortunately this site is no longer active). 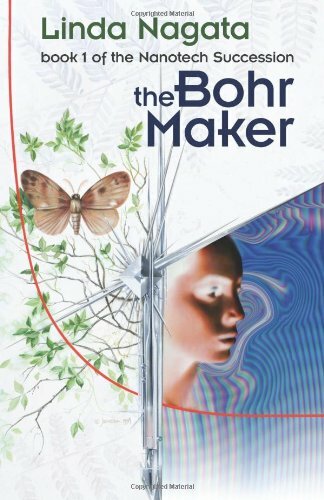 This was my first exposure to Linda Nagata’s work, though I had heard of her through positive reviews of The Bohr Maker years ago. It’s a book that’s been on my far too long and always growing to-be-read list. 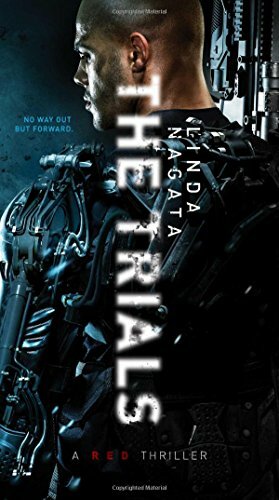 I’ve now purchased a copy of that as well as the other three books in The Nanotech Succession (Tech-Heaven, Deception Well, and Vast), and the next two books in the The Red series: The Trials and Going Dark. If you’d like to learn more about Linda Nagata check out her website at MythicIsland.com.